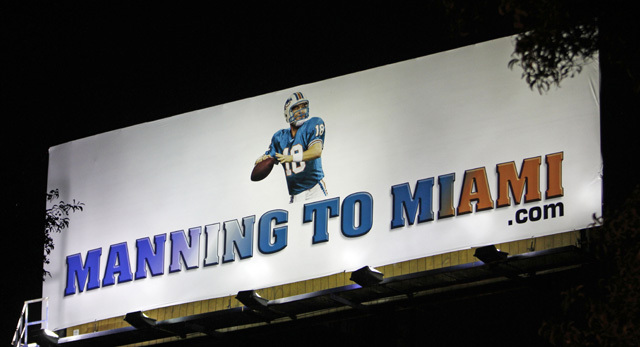 Peyton Manning in a Miami Dolphins Uniform on a billboard in Miami, Florida. When someone or many people want something in our society they usually address it. As for Miami Dolphin fans, they take this “addressing” to all new heights as their “campaign” to acquire Indianapolis Colts quarterback Peyton Manning is truly a campaign. Like any normal campaign, there’s usually billboards, posters, websites, etc. Knowing that, that’s exactly what they did, “Miami to Manning .com” to be exact as they are truly campaigning. Starting with their website, www.manningtomiami.com, has it all, a sign up sheet, blog, sponsors tab, store and more as these fin fans are going all in. Their message, simple, four words: Bring Manning to Miami. “Be Part OF “The Movement” and Make History – BRING MANNING TO MIAMI – This site has been created to help influence Peyton Manning and the Miami Dolphins that “Manning to Miami” is a movement and marriage that the entire South Florida community is behind. Tell family, friends (even enemies), tell co-workers, business associates to cast their vote and make a difference in Bringing Manning to Miami. How many wins is Manning worth? When’s the last time we the fans have had an “impact” quarterback? What about the most cerebral quarterback of all time? Get behind this movement and let your vote be your voice and make a difference! By filling out this form you are casting a vote to bring Manning to Miami and a list of names will be presented to the Miami Dolphins and representatives of Peyton Manning. As for Peyton Manning’s response to this he has yet to comment and most likely won’t. 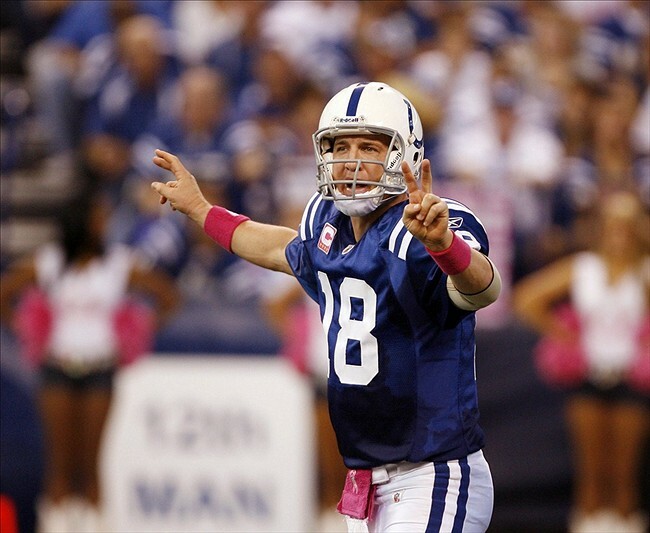 In Peyton Manning’s career as an Indianapolis Colt he has been to two Super Bowl’s, has set every team passing record, has been to 11 Pro Bowl’s, has lead the Colts to two AFC Championships, and has even made another team make him a website. In April Cam Newton was taken number one overall by the Carolina Panthers and like everything in life the critics spoke. With comments such as he’s a bad pick, he’s the next JaMarcus Rusell, he won’t be a good quarterback in the NFL, etc. Some criticism even went further to the point that it was really just too far. “Very disingenuous — has a fake smile, comes off as very scripted and has a selfish, me-first makeup. Always knows where the cameras are and plays to them. Has an enormous ego with a sense of entitlement that continually invites trouble and makes him believe he is above the law — does not command respect from teammates and always will struggle to win a locker room. Only a one-year producer. Lacks accountability, focus and trustworthiness — is not punctual, seeks shortcuts and sets a bad example. Immature and has had issues with authority. Not dependable,” from Evan Silva of NBC’s Pro Football Weekly. 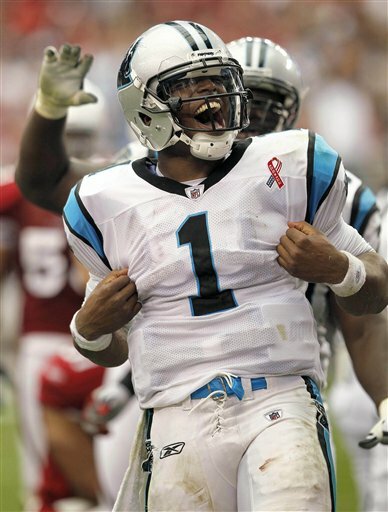 Cam Newton would respond; not with his words…but he would respond on the field. In his first game as an NFL quarterback and as an NFL starter Cam Newton would throw for 422 yards, two touchdowns, and one interception, in a 28-21 loss. Despite losing on the scoreboard in the end this was a win for Newton as he had done something that no quarterback had done before; pass for 400 yards in their rookie debut. Though that wouldn’t be all, Newton’s record would break the previous record, Peyton Manning’s by 120 yards. (Manning threw for 302 yards). Passing a Peyton Manning record and doing it as a rookie, in their first game; that’s pretty special. How could you criticize that? You couldn’t really. Now I’m sure there were some critiques who said it was lucky, it was Arizona, or some sort of nonsense. But in all reality you really couldn’t critique him. I mean he had the best start for an NFL rookie quarterback EVER and he did it on a team that the year before was the worst team in the NFL, now that’s saying something. So congratulations Cam, quite the critiques, doubters, haters, and all of that nonsense and tell them what time it is; Lights. Cam. Action. NFL Rookie Quarterbacks: Can They Lead The Way? Can a rookie lead an NFL team? Every single year in the month of April the NFL has its annual once a year selection of players known to most as the NFL Draft. With the fresh young talent of college players that are selected in it, few them quarterbacks and even fewer of them starting quarterbacks come week one. Since being in the Super Bowl Era no rookie quarterback has ever had a winning record in their first season. It’s sometimes hit or miss with these players as the transition from College football to professional football is very hard. Take JaMarcus Russell for instance; a superstar in College but a disaster at the professional level. 7-18 as a starter in the NFL, no wonder he’s out of a job. Another example is San Francisco quarterback Alex Smith. Selected number one overall in the 2005 NFL draft, Smith was supposed to be the “Golden Boy” that was going to turn a struggling franchise in San Fran around. Instead Smith sank with the franchise giving them five straight years of losing seasons. Though to his defense the season in 2009 San Francisco did go 8-8, but in the end it still marks as a losing season in my book. Now don’t think that quarterbacks right of College don’t work out because that’s not true either. Take Matt Ryan for instance, drafted third in 2008 by the Atlanta Falcons played all 16 games his rookie season and did just fine. He completed 265 of his 444 passes for 3,440 yards, 16 touch downs, and only 11 interceptions. As for the Falcons they did just fine too, 11-5 made the playoffs, not bad for having a rookie quarterback as a starter. Another example is Peyton Manning, drafted first in the 1998 NFL draft by the Indianapolis Colts Manning started right away as well. In his first season Manning threw for 3,739 yards, 26 touchdowns and 28 interceptions. As for the Colts didn’t they didn’t do so well as they finished 3-13 but it worked out in the long run as they only had one losing season since (2001). Also during that stretch they won a Super Bowl and several Division titles. So just like everything else in life you have your pros and cons and it’s the same in the NFL with starting a rookie quarterback; sometimes it works, sometimes it doesn’t. So with this season right around the corner and two rookie quarterbacks listed as starters for week one, no one really knows if it will work out. No one really knows if they’ll be the next Peyton and no one really knows if they’ll be the next Russell, the only thing we know is that their starting. Andy Dalton: Unfortunately for Dalton he’s in a division with two of the most feared defenses in the NFL and with being in the same division as them comes with two games a piece with them equaling for a rookie quarterback=not so well. However the Bengals didn’t really have a choice as to who to start as there old starter “retired” and his back up did as well. Talk about the odds of that…well 100 percent but in reality it’s truly crazy. So they got stuck with Dalton, but don’t get me wrong he has potential, only problem is he’s in a very tough position in a very tough division. That rhymes and so does grind with time and that’s what it’s going to be a grinding process that over time Dalton will progress into a solid NFL quarterback but not this season. Maybe if they weren’t playing the Ravens and Steelers twice a year then maybe it would be different, but to come right into the NFL and have success is one thing but to do it against two of the top defenses in the NFL four out of the 16 games a year is another thing. Prediction: Bengals win five games. 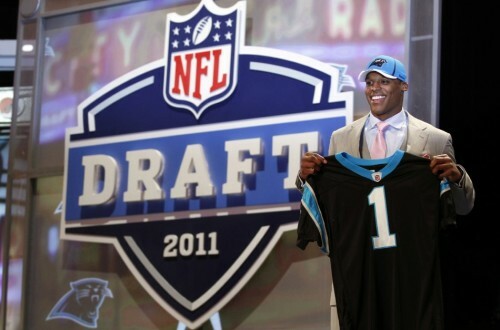 Cam Newton: Two time National Champion, Heisman winner, number one draft pick; the chosen one. Only problem is he’s on the un-chosen team; the Carolina Panthers, a team that hasn’t seen a Super Bowl…ever. The closest they got was in 2004 where they lost by a field goal losing 32-29 to the New England Patriots. However the past is the past and now the Panthers have moved on and they’re doing it with rookie quarterback Cam Newton. Newton who has played mediocre in the pre-season does however show potential of being a very good quarterback in the NFL. He has the size, skill set, and the right piece to do it in wider receiver Steve Smith; though the question is can he do it? Yes, why it may not be this season, it will happen. Newton has shown signs of a great quarterback but then at other times he has shown signs of a rookie and that’s ok because he is just a rookie. Prediction: Panthers win eight games. Indianapolis had the perfect season on the line when they played the New York Jets last week. They hung with Peyton Manning for the first half and the Colts went into halftime with a 9 to 3 lead. Prior to this game, the Colts had already clinched their playoff birth and playing Manning was a sure bet that Indianapolis was now playing for the perfect season. Then in the second half, millions watched as we found Peyton on the bench along with his 14 completions and 192 yards accumulated from the first half. The Colts had decided to protect their Ace and bring in backup QB, Painter, for the remainder of the game. Anyone who saw the game could see the frustration in Peyton’s face as he seemed disappointed with the decision, especially as he witnessed Painter earn a grim 4 completions for 44 yards in 30 minutes of play. The Jets outscored Indianapolis 26 – 6 in the second half going on to win by an overall score of 29 – 15. Most of us wondered how they could lay down a perfect season – how they could pass up the opportunity for immortality. Millions felt robbed of the chance to become a permanent part of history. The logic behind the move to bench Peyton seems flawed to me. Why even bother playing Peyton at all if you are going to protect him for the playoffs. I understand how statisticians record who started the game and therefore, Peyton should start in order to keep his streak alive. But, why not just bring him in for one drive then? Why keep him in for a whole half? Are the first 30 minutes of the game less of a risk for injury? In other words, what is so different about the first half and the second half that protecting the quarterback didn’t seem necessary for the first 30 minutes. I have to believe that Indianapolis figured they would bring Peyton in for one half and secure a lead, then let Painter go in to finish it out. However, they probably didn’t assume they’d collapse the way they did once Peyton came out. When they saw the game starting to slip away, they must have at least second guessed keeping Peyton on the bench, right? I bet they wanted to bring Peyton in just as bad as the fans wanted Peyton back in but they were too worried about their image and their reputation and what America would think if they decided to play for a perfect season instead of playing by the book. I wanted someone to tell them to scrap the book, America has your back, play for the perfect season. Additionally, I think stats show that there has been no real advantage to the teams that have rested their players before playoffs. In fact, most teams that rest their players before playoffs actually have played subpar in the post season. I sure hope their decision pays off for them in the playoffs. Especially after what happened in Buffalo this weekend. Once again, the Colts brought Peyton in for the first half. This was one of the sloppiest games imaginable. The weather was dreadful. It was the 4th coldest game day in Ralph Wilson stadium history. Again I question the logic regarding Peyton’s playing time. Why on earth would you let him play in that kind of scenario if you are truly resting him for playoffs and protecting him from injury. I think the Colts were stuck in a difficult situation because they laid down against the Jets probably thinking they’d still be able to win, and now that they lost, they were facing two losses in a row by pulling Peyton and laying down against the Bills. I don’t think losing two straight games was ever the game plan for the Colts. I think they made some bad decision. They should have just played all out for the perfect season and headed to playoffs on a good note. Now, they went from potential immortality, to cut and bruised with a definite dose of reality. We’ll see how the move pays off in the upcoming weeks.